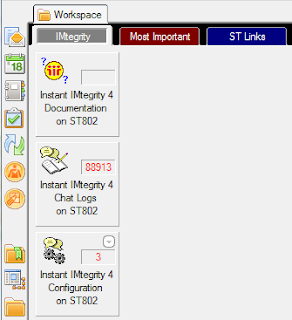 How do we integrate Instant IMtegrity with our EMC Legato application? 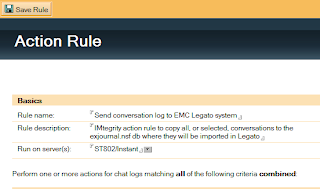 We'd like to have our Sametime chat conversations copied into EMC's Legato so that we can search our Sametime chat conversations from a central location. 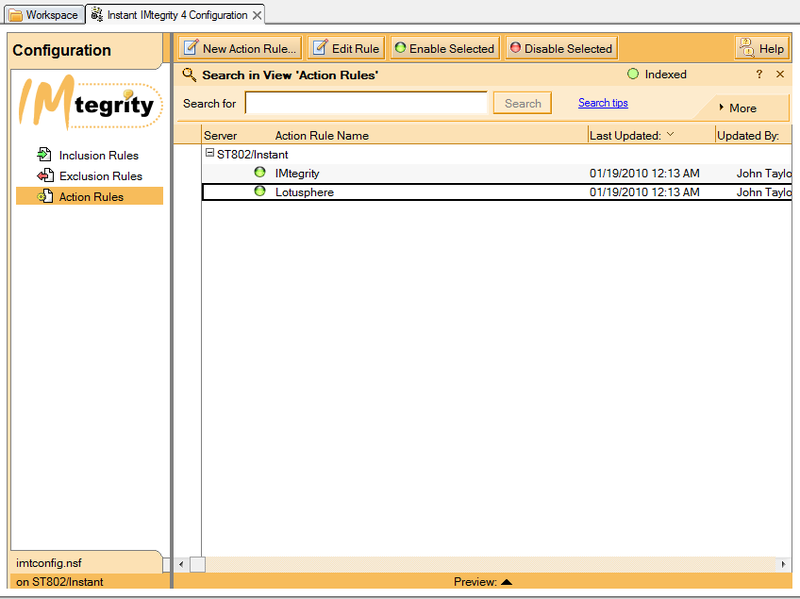 IMtegrity version 4.x includes a new feature that inspects new chat conversations and compares the conversation against a set of custom action rules. 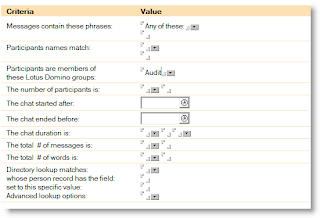 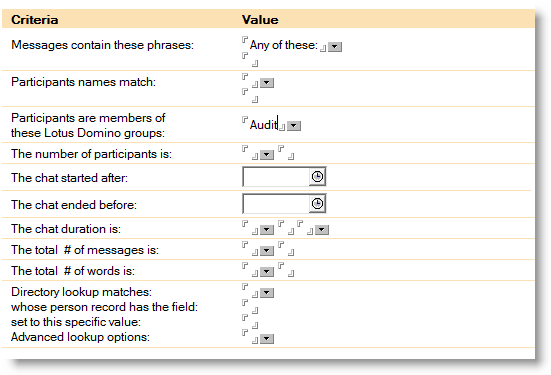 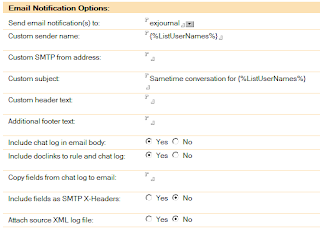 These action rules may inspect the IBM Lotus Sametime conversation for keywords, participants, data/time values, or other properties. 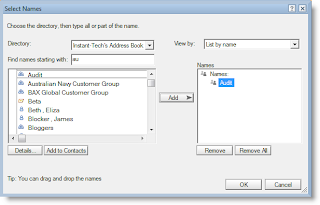 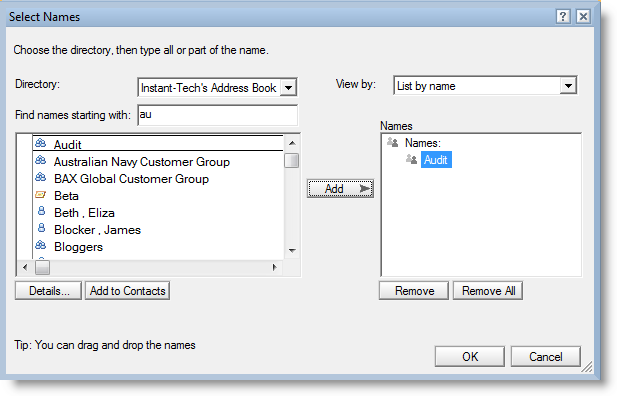 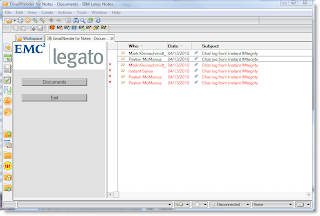 As part of the IMtegrity action rule component, Sametime conversations may also be mailed to administrators, managers, or submitted to a Lotus Notes 'mail in' database for further review or storage. 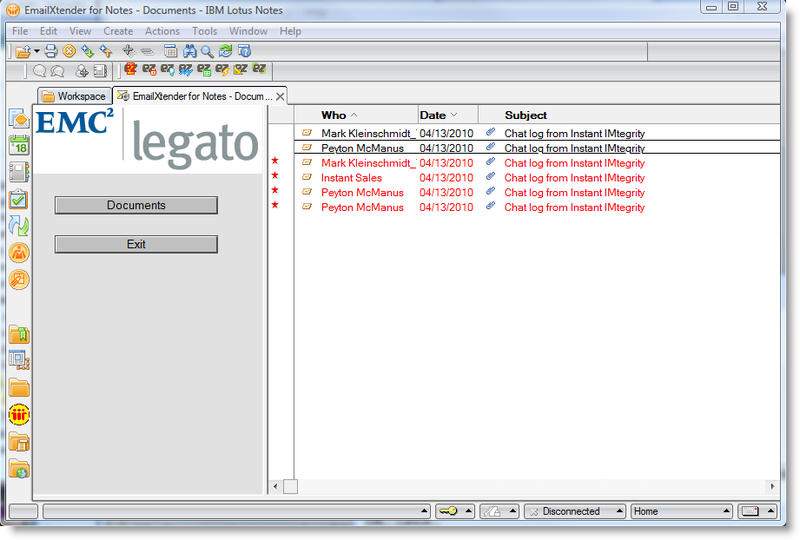 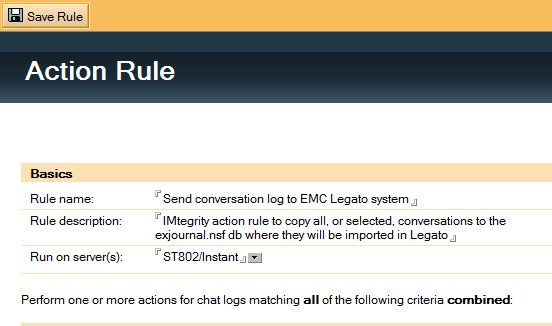 In order to provide Legato with a copy of the Sametime conversation, create an action rule for IMtegrity where all chat conversations, or only specific conversations, are automatically mailed to the exjournal.nsf database. 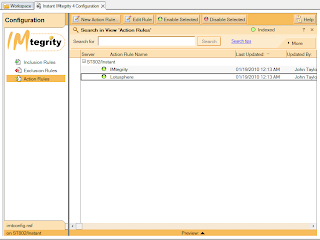 The IMtegrity configuration database is named: imtconfig.nsf and it is located on the same server as the imtchatlog4.nsf database. 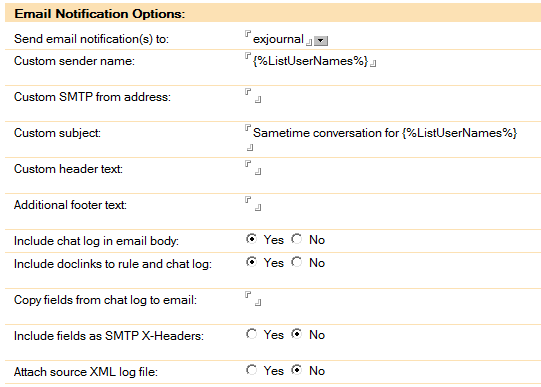 Specify the mail options - this will determine how IMtegrity mails the content to the exjournal.nsf database. 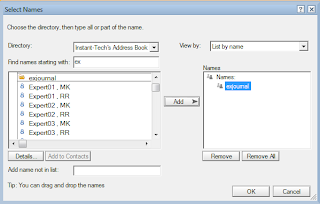 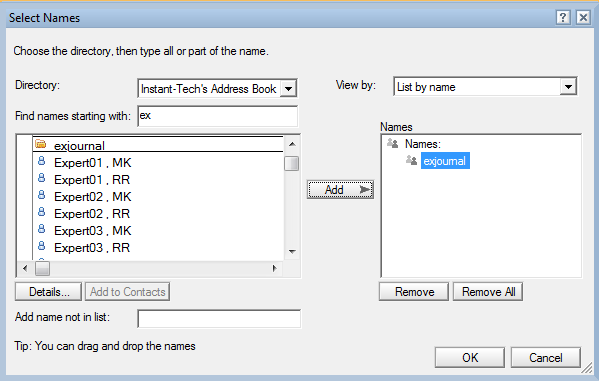 After the user name is provided that has been created to act as the mail in name for the exjournal.nsf, or exjournal1.nsf, some additional fields may be configured to provide a default subject and participant list.